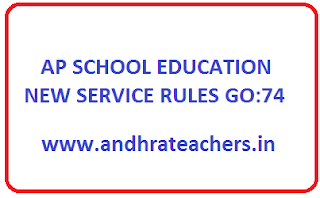 In exercise of the powers conferred by proviso to article 309 of the Constitution of India and of all other powers hereunto enabling the Governor of Andhra Pradesh hereby makes the following special rules for the Andhra Pradesh Educational Subordinate Service in supersession of the Rules issued in G.O. Ms.No.78, GAD, Dt. 10-1-1962 and adhoc rules issued from time to time so far as they relate to the posts included in these special rules. The rules hereby made shall be deemed to have come into force with effect from the 20th November, 1998. SHORT TITLE: These rules may be called the Andhra Pradesh Educational Subordinate Service Rules.